A short weekend course that runs over 2 days. 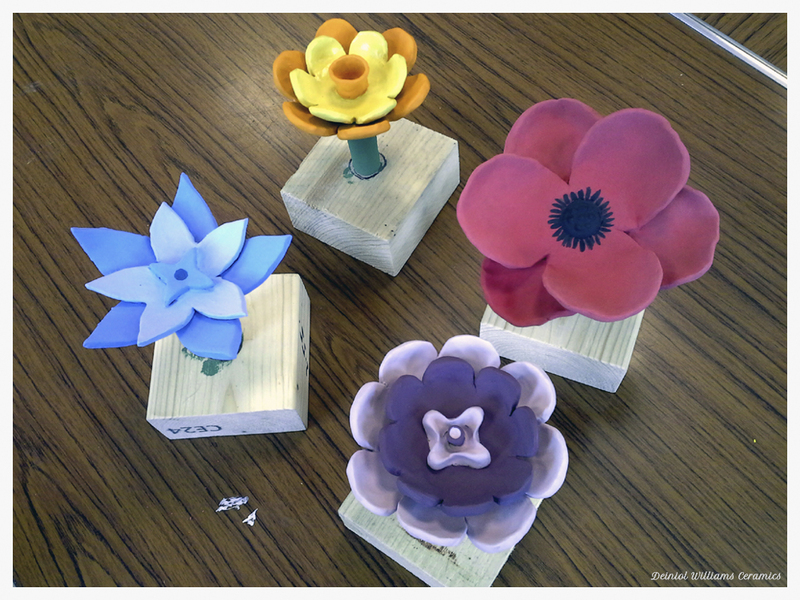 Students will make a small selection of ceramic flowers which aree designed to fit onto bamboo cane or can be permanently fixed onto metal rods so that they can be placed out in the garden and provide all year-round colour! 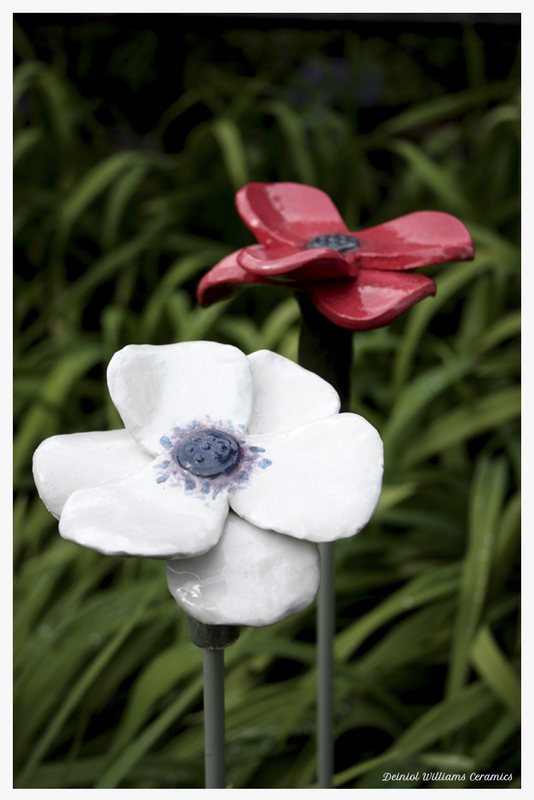 Participants will get to work with slab clay, along with some clay modelling and work with underglaze colour decoration. All the finished work will be taken back to my studio to be glazed and fired to stoneware which will render the flowers frost-proof, and will be available for collection approximately 4 to 5 weeks later. The course is run over a weekend at the Craft Barn in Hadfield. There will be space for up to 7 participants at a cost of £60 each. All materials and aprons will be provided, along with a variety of refreshments. *PLEASE NOTE*: The course runs over both days - they are not individual courses. This is to allow the flowers made on the Saturday to dry enough overnight ready to decorate on Sunday.